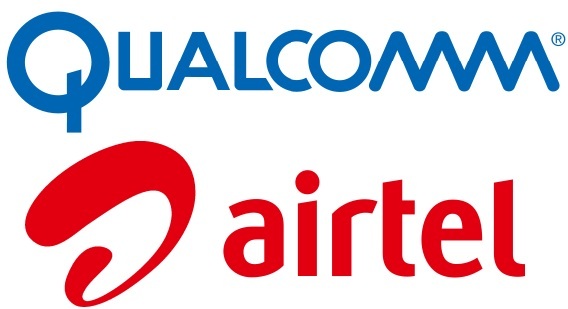 According to sources in the telecom industry Bharti Airtel which became the first Indian Operator to successfully roll out its 4G services in Kolkata and Bengaluru is in talks with Qualcomm India to buy the company’s 26% stake for Airtel’s 4G broadband venture. It was previously rumoured that Airtel was in talks with Qualcomm for the 26% stake that is currently held by Global Holding Corp and Tulip Telecom for about $58 million, but the talks were put on hold as the grant of 4G license to Qualcomm went into a dispute with the Telecom Ministry. Now that the dispute is settled and the Ministry has allowed Qualcomm to roll out its 4G services in the 4 telecom circles which include Kerala, Haryana and the most lucrative, Mumbai and Delhi. Airtel wants to buy out stakes of Global Holding and Tulip in Qualcomm and then plans to invest in building and running the LTE network. For this to happen, new shares will be issued as and when the investments take place thus resulting in diluting Qualcomm’s stake in the venture. Airtel’s main target is to launch its 4G services in Mumbai and Delhi as these two circles would be the most important for any 4G provider. Also Airtel wishes to become a pan-India 4G services provide just like Reliance Industries which has a pan-India license for 4G roll out, thanks to its buying of Infotel Broadband which won the pan-India license in 2010.